Moreton Bay United kept their Premiership hopes on track following a 2-1 win over Brisbane City at Corporate Travel Management on Friday night. Royce Brownlie delivered a second half brace for the visitors before Antonio Murray struck a consolation from the penalty spot in the final minute. The result extends Jets unbeaten run to four games and secures the club a league double over City this season. City started the contest brightly and came close to taking the lead in the opening minutes when Murray struck the crossbar from a free kick. Despite an open attacking flow to the match, clear cut chances then proved elusive for the remainder of the half. The visitors fashioned half chances at best but failed to find the target with strikes from Jackson Hall and Joseph Champness. However, Jets returned with greater impetus for the second stanza - delivering a high press that had City under pressure. The visitors broke the deadlock with twenty minutes remaining when Brownlie opened his account by turning the ball home amidst a goal mouth scramble. 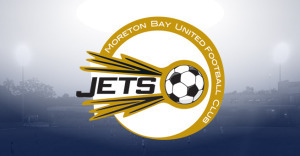 City goalkeeper Matthew Stein was forced into a pair of saves to deny Brownlie and Matthew Capello shortly after before Jets doubled their advantage via a penalty. Hall was felled in the box allowing Brownlie to secure his double - and take his season’s tally to eleven goals - from the ensuing spot-kick. Spurred into action, City pushed for a reply but couldn’t breach the Jets defence until the final minutes when Murray delivered a penalty kick of his own after Anthony Poljak was brought down in the area. A final flurry from the hosts ensured a tense finish but they proved unable to rescue a point despite late claims for a handball in the box and Murray striking the post in the final minute of time added on.